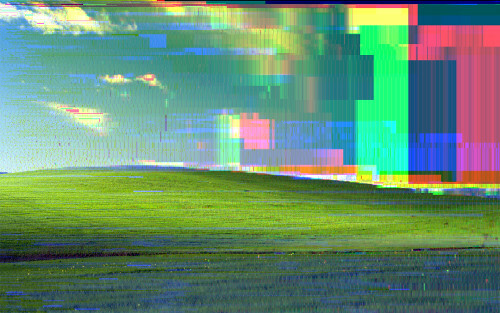 On one of my frequent journeys on the information superhighway I stumbled across Little-Scale’s Mass JPG Killer. 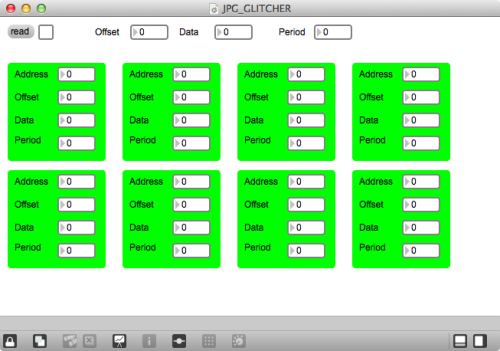 This handy little patch allows a user to load any binary file and “glitch” it by overwriting some of the original data with a repeating pattern of user-defined data. The only problem (for me and people like me) is that I don’t have Max/MSP and can’t install it on Linux, meaning I’ve never actually used it! Little-Scale very kindly provided the internet at large with screenshots of the inner workings of the patch. I was able to to use a whole lot of science and maths to rewrite and reinterpret this patch of mass destruction in Pure Data, which is more easily available. Usage of the patch is very simple and can yield some quite interesting results! Set the byte offset. This number represents the starting point at which the patch will start “corrupting” the file. 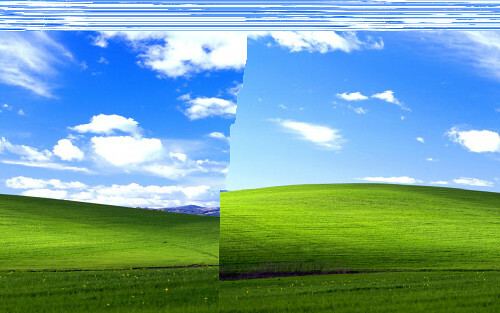 If you’re a glitchspert (glitch + expert) you’ll remember that you should avoid modifying the header. To avoid modifying the header set the offset to the 1000s. Set the period value. This can be hard to understand, so here’s an example: If the period is set 1378 then at intervals of 1378 bytes from the offset it will modify the data. Set the data value. This works in conjunction with the period value. Using the previous example, if the data is set to 102 then at intervals of 1378 bytes it will replace the current byte value with 102. Press either random period or random byte data to populate these values with random values. Press glitch it!. Guess what that does. Write the files to save them to the same directory as the source file. The original file will not be overwritten. To start again press the reset button. It will load the original byte data. The offset cannot be set for each instance. This is by design as I felt it was a bit redundant. It’ll work on any platform that can run a full version Pure Data Extended. This should include the Raspberry Pi version as GEM is not required. Although it was originally inspired by the JPG Killer you can get some very interesting results if you use other file formats and set the period data to a number less than 20.